Adopted on June 18, 1997. 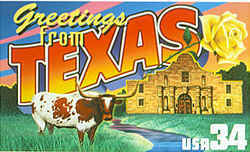 Texas is probably the only state with an official fabric and cloth. Though the designation is unusual, the plant chosen was an obvious choice. 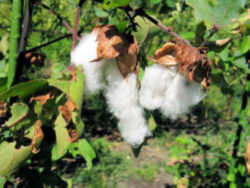 The Cotton plant, (Gossypium spp.,) was adopted on June 18, 1997. 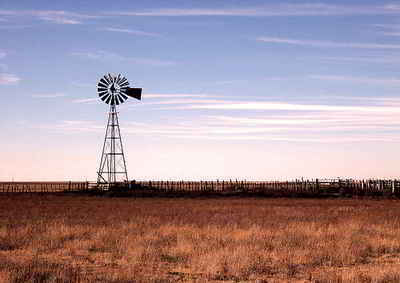 Cotton has been grown in Texas since the 1740s, brought by Spanish missionaries. Texas tops the nation in cotton production, with about 25 percent of the entire US crop coming from our state. This year Texas farmers are expected to pull some 5.4 million bales in for more than $1.4 billion. 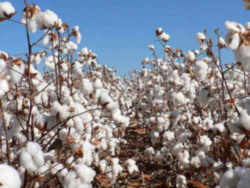 Cotton provides about 50 percent of the world's textile fibre. Yet naming cotton the official fabric and cloth wasn't exactly an obvious choice, either. In 1901, it was nominated for adoption as the state flower! Phil Clement of Mills likened the open cotton boll to "the white rose of commerce." 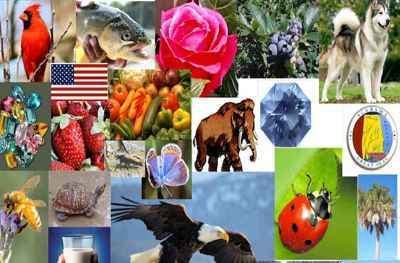 Cultivated since ancient times, people have utilized the lint for spinning and weaving. In frost free areas, cotton can be a perennial shrub or small tree. Plant in spring after last frost, 1/2 inch deep, 12 inches apart. Wild cotton seeds need to be presoaked or scarified. Plants need a long season for bolls to mature. RESOLVED, That the 75th Legislature of the State of Texas hereby designate cotton the Official State Fiber and Fabric of Texas.